I study Russia’s cultural, political, and social development from roughly the Emancipation to the early Cold War. The period was one of multiple transformations in Russian and subsequently Soviet society with direct impact on innovation in the arts. I write about literature, art, dance, the press, popular expression, and the social, political, and economic developments that shaped them. 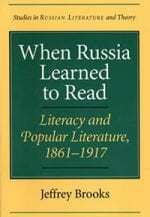 My first book When Russia Learned to Read: Literacy and Popular Literature, 1861-1917 (Princeton University Press, 1985) examined what happened when millions of formerly illiterate peasants and urban residents learned to read—why they valued literacy, how they used it, and how their entry into cultural markets changed Russian art and literature. The book won the Wayne S. Vucinich Book Prize of the American Association for the Advancement of Slavic Studies in 1986, was reprinted with a new introduction by Northwestern University Press in 2003 and translated into Italian in 1992. My Thank You, Comrade Stalin! 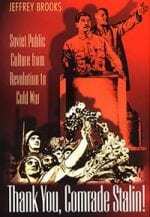 Soviet Public Culture from Revolution to Cold War (Princeton University Press, 2000) explores how the official press interacted with public opinion to construct a dominant narrative of events great and small from Lenin to Stalin. I joined with Georgiy Chernyavskiy to co-author Lenin and the Making of the Soviet State: A Brief History with Documents (Bedford/St. Martin, 2006). My most recent work The Firebird and the Fox: Russian Culture under Tsars and Bolsheviks is in press at Cambridge University Press. It examines shared themes and exemplary characters deeply embedded in Russian tradition that surface in new ways in high and popular culture over roughly a century of intense cultural innovation from 1850-1950. The work shows how high culture drew on folk and popular genres and then circled back to influence the rapidly expanding and evolving popular commercial culture. The book gives new perspectives on the works of Tolstoy, Dostoevsky, Chekhov, Stravinsky, Akhmatova, Malevich and others by presenting the national context that shaped these globally recognized masterworks. It emphasizes an interplay of high and popular culture unique to the era and place. My research has been supported by the Woodrow Wilson Center, the National Council for Soviet and East European Research, The Guggenheim Foundation, the IREX Academy Exchange, the Fulbright-Hays Program, and The National Endowment for the Humanities, among others. 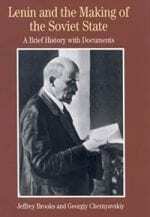 I have also published essays, articles, and book chapters on Russian cultural and social history. Many of these address aspects of the literacy transition in Russia, and its importance at a time when the written word had little competition from other media. I have also written on Soviet culture and the importance the political leaders accorded to literature, the press, and culture more generally. I have taught both graduate and undergraduate students and received the Johns Hopkins Alumni Association Excellence in Teaching Award in Arts and Sciences in 2004. He is the author of When Russia Learned to Read: Literacy and Popular Literature, 1861-1917 (1985; reprinted 2003); Thank You, Comrade Stalin! Soviet Public Culture from Revolution to Cold War (2000), and Lenin and the Making of the Soviet State: A Brief History with Documents, co-authored with Georgiy Chernyavskiy (2006). “The Young Chekhov: Reader and Writer of Popular Realism,” in Di/segni (2014); “Soviet Culture, 1932-1992,” with Sergei Zhuk, in The Oxford Handbook of Twentieth Century Russia (2014), “Marvelous Destruction: the Left-Leaning Satirical Magazines of 1905-1907,” in Experiment Volume 19, Issue 1 (2013), 24-62; “The Moral Self in Russia’s Literary and Visual Cultures (1861-1955),” in The Space of theBook: Print Culture in the Russian Social Imagination, Miranda Remnek ed., 201-30; "Neozhidannyi Tolstoi: Lev I medved’: Iumor v Voine I mire” (The Unexpected Tolstoi: Lev and the Bear) in Novoe Literaturnoe obozrenie (I) No. 109 (summer, 2011), 151-71.